Overall view of the inboard J47 engine nacelle on the port wing. 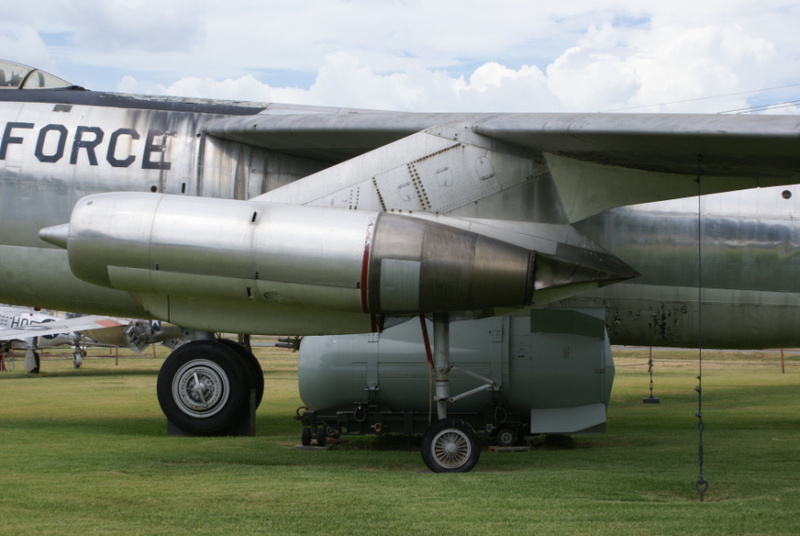 The B-47's wings were too thin to house customary retracting wheels, so the outrigger gear retracts into a housing between the two J47s in the engine nacelle (although the plane is displayed with its landing gear doors closed). Note the B53 thermonuclear bomb between the engine nacelle and fuselage.